With increasing numbers of newly diagnosed patients with age related macular degeneration (AMD), pressure for the NHS to manage patients effectively is on the rise. Ross Cahill, suggests training Orthoptists to assess and manage patients could help NHS eye clinics. Here, he explains how. Orthoptists can now extend their role and responsibility by specialising in AMD. Orthoptists study the theory, investigation and management of eye movement disorders and the consequences. More specifically, they specialise in eye movement disorders including strabismus (commonly known as squint), double vision and reduced vision in children. One aspect of my role as a specialist Orthoptist is to train allied health professionals (AHP) to administer anti-vegf injections. Due to increasing demand that currently faces all eye units, the need for training AHP such as orthoptists to support the medical retina service is essential to meet the demand. The clinical lead for ophthalmology at University Hospital Southampton and I received excellent support from all levels of management to develop orthoptists and other AHPs to administer anti-vegf injections and undertake clinical assessments. We aimed to create a capable dynamic workforce with great flexibility. We hoped that having autonomous practitioners who focus on patient-centred care and creating a culture of excellence would help to solve the capacity issues within the service. Trainees were selected following an offsite medical retina training day which introduced interested members to the clinical conditions involved and the treatment technique process using pig heads. It provided a good selection process as we were able to identify suitable AHPs who were enthusiastic about developing skills in administering intravitreal injections. The day also gave all AHPs the chance to increase their knowledge base. The feedback received from the day was excellent and provided a great team building exercise for team morale. As part of the treatment of wet AMD, patients must receive intravitreal anti-vegf treatment in a timely manner to help maintain visual acuity. Due to the large number of patients and the frequency of treatments needed, it was decided that AHPs should be trained to administer anti-vegf treatment. Following the training day, four AHPs were selected from different backgrounds to begin administering intravitreal injections (two orthoptists, one nurse and one operating department practitioner). Before AHPs could administer anti-vegf intravitreal injections, they had to undertake both a comprehensive practical and theoretical-based training programme. I created an online e-learning programme to support the consultant and orthoptist-delivered practical training sessions. The online e-learning programme is made up of three stages, including lectures, videos, and online tests. The development of three training methods have helped AHPs in all areas, from the mental health effects of vision loss to infection prevention, as well as supporting injection practice. 5) Online training reduced the hours needed to train each practitioner face-to-face. Overall, the e-learning programme has been a useful tool in training AHP injectors and has helped to reduce the burden on trainers. However, variation is required to ensure success in training clinically excellent AHP injectors. We are currently six months into our staggered training programme and allied health professionals are currently undertaking around 35 per cent of the injections per week within the service. The aim is to increase this to 60 per cent of the workload within the first year of training. We anticipate learnings on both sides to further development of our training programme, although following a clinical audit of the first 1,000 injections has demonstrated that APHs are safe and effective at administering intravitreal injections using this training programme. We also reviewed if AHPs deliver quality care and following a patient satisfaction audit, 99% of patients said they would be happy to be treated again by AHPs. They also scored over 95% for such metrics including showing compassion, listening to patient needs and treating patients with dignity. The e-learning programme is still in its infancy and is constantly being upgraded as feedback is received. Using an e-learning programme is beneficial as the practitioners were computer-literate, however, deadlines must be set for each practitioner to ensure progression. As each practitioner had differing professions and learning styles, a key part of this was to ensure variation in teaching methods. Individual knowledge assessment sessions ensured competency as well as practical assessment observations. This helped to make sure professionals were well-rounded in all areas of injection practice. The e-learning programme has also been successful in the auditing process as it contains all the relevant documentation for clinical audit and ensuring patient satisfaction and safety. The importance of training AHPs cannot be under-estimated as age related macular degeneration is an ever-changing field with new and innovative research continuously changing practice. 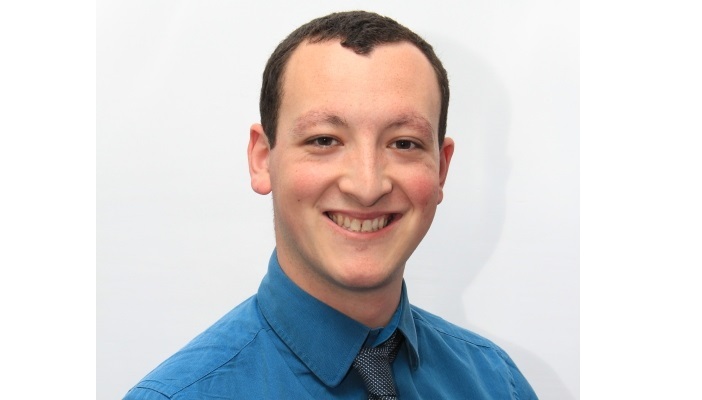 Ross Cahill is a specialist Orthoptist at University Hospital Southampton. For more information about the training programme, please contact Ross via email at [email protected].